How to Unlock Windows XP Password with Efficient Way? Why you need unlock Windows XP password? Usually it has the below reason. Forgot or lost your Windows Administrator password? Your Windows XP password has been distorted by vicious people. Your former colleague left without telling the computer password. You know your computer password but cannot login because your account is disabled or password is expired. There are still other situations when you have to unlock your Windows XP password. Here my question is: Do you know how to unlock Windows XP password when you are encountered with those kinds of situations? For some people, they may think it’s quite easy: just send the machine to a computer repair center or reinstall system with Windows XP installation disc. However, quite a large part of people fear that all of their important data stored on the PC will be lost. Unlock Windows XP password with Smartkey Windows Password Recovery. Hack Windows XP password with other accessible user accounts on your XP machine. 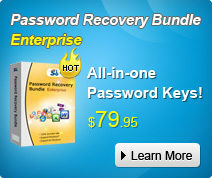 Approach 1: Unlock Windows XP password with Smartkey Windows Password Recovery. Click here to download and save the professional Windows password recovery tool—Smartkey Windows Password Recovery on your prepared accessible computer. Insert the device you’ve prepared—CD/DVD or USB flash drive to the working computer. Then extract the ISO image file of Windows Password Recovery to the device so that to burn a bootable Windows XP password reset disk. When the extracting process finishes, just take out the device from the computer. Insert the burned disk to the target XP machine, and change BIOS settings to set computer boot from CD/DVD or USB. Simply select the target Windows XP user account, then type “y” to start Windows XP password unlock with this burned disk. Approach 2: Hack Windows XP password with other accessible user accounts on your XP machine. If your computer could still be logged in, then you can be lucky enough to unlock your forgotten password with some other accessible user accounts on your PC. However, it should be noted that those accounts should be with administrative privileges. Go to Control Panel, then double-click the Users Accounts icon. Select the target user account whose password you wish to unlock. Select the option “Change my password” to change a new password for the selected user account. Any other good suggestion to unlock XP password will warmly favored. If you do, just feel free to share with us! Hey, nice post on Password recovery windows xp. I never heard of that before. Thanks. Bye, Rüdiger. Thanks for your sahring. Does the Approach 1 work in Windows 8?